We’ve talked about one-story homes – another way to add insulation from any potential downturn is to buy a property that can accommodate a granny flat. They can produce extra cash flow (the county states that they can be rented), and if you ever have to sell, there are home buyers looking to have grandma on-site rather than putting her in a senior facility at $5,000 per month. Cities have been slow to accommodate the accessory dwelling units (ADUs), but they need to comply with low-income housing so they should come around. The San Diego Board of Supervisors voted to waive fees for residents building accessory units on their property Wednesday to address the county housing shortage. 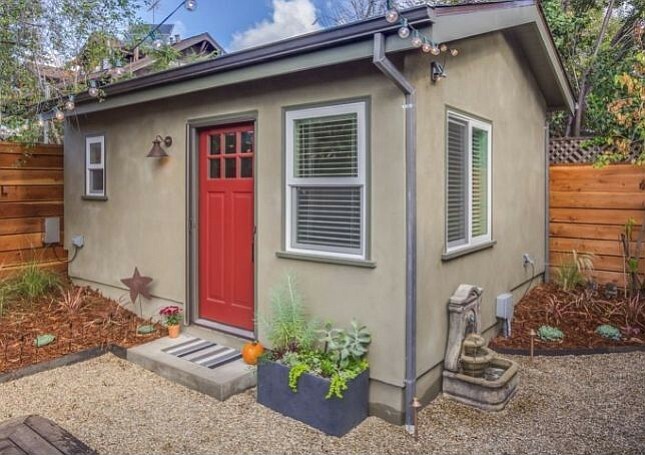 These accessory dwelling units, known as “granny flats,” are described as attached or detached residential spaces to an existing property that can provide sleeping, eating, cooking, and sanitation, according to the county. The board voted Wednesday to waive all county permit and development impact fees over the next five years with the hopes of bringing thousands of additional granny-flat homes across the county. The previous cost of a permit for a granny flat was $1,222 plus $0.0411 per square-foot of space, according to the county’s website. In total, residents planning to build granny flats could save an average of $14,000, according to District 5 Supervisor Jim Desmond. In order to offset the loss of these fees, the county said it would subsidize $11 million for the five-year program. “We will continue to be creative and challenge the status quo to solve the region’s housing crisis,” said Desmond. The incentivized units can be used for family members or rented out as a source of income for the homeowner, the Board of Supervisors said. To learn more about what constitutes a granny flat, go to the county’s website. Two hundred may not be all that magical a number, but around Santa Barbara City Hall, it’s a big one. That’s because this Monday, a property owner turned in the 200th over-the-counter application to build a “granny flat” (a self-contained housing unit located on the grounds of a single-family dwelling) since the California Legislature passed a law last year that greatly limits the ability of local governments to say no to such development. By contrast, in the prior 25 years, City Hall managed to approve only 12 such units via the city’s traditional and far more rigorous discretionary review process. Sacramento, grappling with a statewide housing crisis, has been increasingly inclined to blame local governments for slowing the pace of new housing development with environmental review and design guidelines. State housing experts contend 100,000 new units must be built annually to keep pace with unmet housing demand. This year, no fewer than 187 bills were introduced in Sacramento to address this issue, according to Dave Mullinax, lobbyist with the League of California Cities. Of those, a handful are now awaiting Governor Jerry Brown’s signature, including one (Senate Bill 35) that promises to strip local governments of almost all environmental oversight and discretionary review for large housing projects. Under the state’s Accessory Dwelling Unit (ADU) law, city planners have up to 120 days to process ADU applications. Failing the discovery of some fatal zoning flaw or safety issue, such applications must be granted. Around City Hall, this mass of new applications has caused serious workload problems. But that’s just the start. Santa Barbara planners now find themselves at work crafting a new ADU ordinance so that they and the City Council can retain some modicum of local control. However, its maiden voyage before the city Planning Commission two weeks ago was highly fraught. The council chambers were packed, and the meeting ran five hours long; all but two speakers blistered the first draft for being way too restrictive. So, too, did a majority of the planning commissioners themselves. Why, they demanded, did planners propose cutting the maximum size allowed under the state’s law in half, down from 1,200 square feet to only 600? Even Commissioner Sheila Lodge, a staunch foe of increased housing densities, thought that was too extreme. Waiving fees is a very clever way to induce formal registration. Pardon my suspecting ulterior motives. > Failing the discovery of some fatal zoning flaw or safety issue, such applications must be granted. The explicit list of “not a reason” is scary. Doesn’t matter if water/air quality cannot be met. Doesn’t matter if LOS (traffic congestion) cannot be met. Doesn’t matter if water/sewer are unable to accept new load. Despite all those the municipality still must meet all those standards.